A friend of mine recently shared an article outlining a €125 million bid by French soccer giant, Paris St. Germain for the services of Cristiano Ronaldo. I don't really understand the details of European soccer contracts, but that translates to about US$140,000,000, which is a huge amount. My friend, who knows much more about all things soccer than I do, noted, "That kind of expenditure can't be in anyone's business plan." In a sport without a salary cap, one club's desperation to improve can have a dramatic inflationary effect on every other team in the competition. If other clubs are to remain competitive they will now need to pay their current players more and look to recruit higher priced players from other leagues. In the end, it costs everyone more. A similar event occurred in Major League Baseball last year when the Miami Marlins signed Giancarlo Stanton to a $325 million, 13-year contract. That record contract averages $25 million per season, or $154,321 per game (if he plays every game). In 2014 Stanton averaged .237 and hit 37 home runs. That was good for second place on the home runs scored list. This year he's currently 4th in home runs with 13 but on a pace to surpass last year's total. While he's only averaging .237 he's leading all baseball with 42 RBI. Despite these impressive numbers, the Marlins sit last in their division with an 18-30 record. They've already fired their manager, and appointed their former GM with no management experience as their new manager. Desperate to win, or appear relevant, or something... They've paid so much money to Stanton that they've had to trade other highly paid players. And fans now pay Stanton's salary through higher ticket prices to watch a team that struggles terribly. These massive expenditures may be ill-advised, but they're legal. Then there are those clubs and players so desperate to win that they'll break the rules to gain a competitive advantage. It probably doesn't make any real difference to his performance, but Tom Brady feels most comfortable throwing footballs that are a couple of PSI below the legal limit. 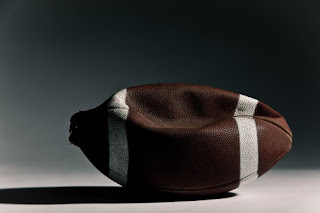 He arranged for clubhouse employees to deflate footballs to his preferred PSI after they'd been examined by officials. The Indianapolis Colts complained to the NFL about the footballs New England was using and they were found to bee too soft. Despite apparently incriminating text messages, Brady denied that he had anything to do with the deflated footballs and is currently appealing the NFL penalties he received. Brady and the Patriots won the Super Bowl with properly inflated footballs. Why would someone as talented and successful as Brady involve himself in something like this? Perhaps he thought it wasn't a big deal. A Sports Illustrated article last year detailed Brady's meticulous planning and care for his body during and outside the football season. It seems hard to believe a guy dedicated to going to bed a 9pm each night would pay no attention to the inflation of the footballs he throws each week. After 15 years in the NFL Brady continues to give everything, and maybe a little more than he should, in order to keep winning. People will spend enormous amounts of money in an attempt to win a trophy. How many Christians will just throw their loose change in the collection plate? People will go to the edge of legality and beyond seeking to build a football dynasty. How many Christians struggle to commit a couple of hours a week to God as we seek to build God's kingdom? The dedication of players, owners, and administrators challenges my commitment to the service of God and his people. Would I change my diet if it would help me love others better? Would I go to bed earlier if it allowed me to represent God better? Would I give more money to God's work on the off chance that it might help the church bring someone else to salvation? How much am I willing to work, and how much am I willing to risk for God? It's funny how we expect the owners and athletes on our favorite teams to "give everything" so that we can experience the joy of winning a championship. At the same time we demand much less of those pursuing eternal life with our Creator. Perhaps it's time for a rethink.